Everybody loves a good bargain. Not to mention an exclusive promotion, a special offer or just simply a sale. Here is where you'll find all our unmissable deals, full of unbeatable value on our quality homes, luxury inclusions, smart upgrades and essential items. But hurry! Limited time only. For a strictly limited time, you can enjoy even more value with one of the best value home builders in South East Queensland! 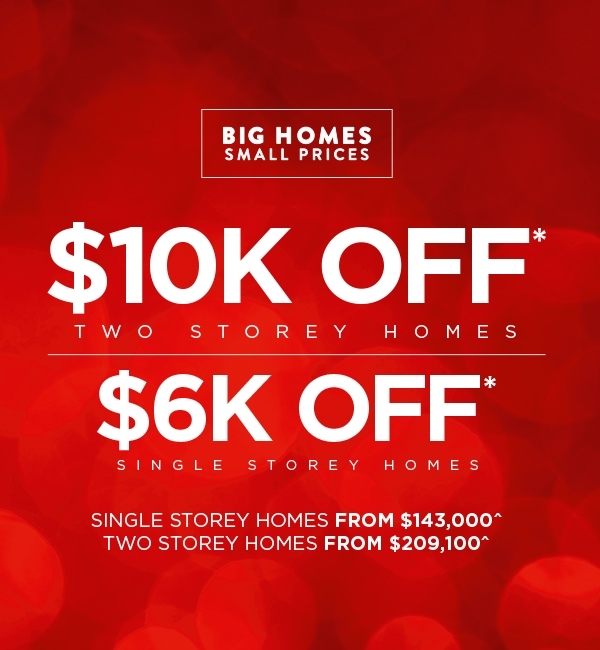 In our Complete range, we’re taking $10,000 OFF two storey homes and $6,000 OFF single storey homes. 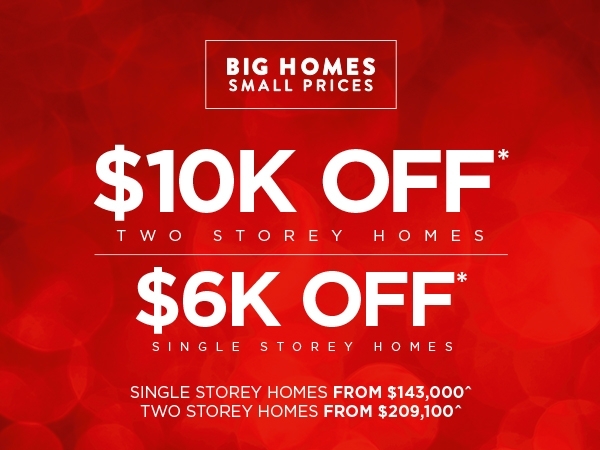 It's Big Homes, Small Prices by Clarendon Homes. Available for a strictly limited time only!